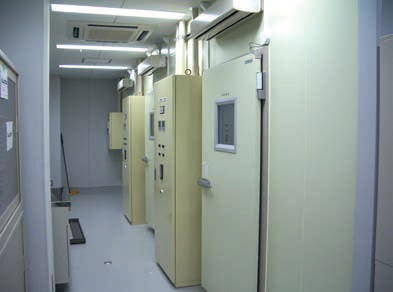 ● It is assembled type constant temperature and humidity room which can be used widely. 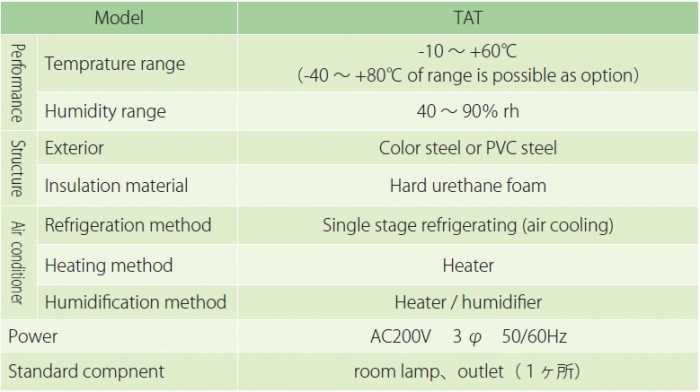 ● Temperature control range of standard type is between -10 and +60 degrees Celsius. There is also customized type which can control temperature between -40 and +80 degrees Celsius. ● Humidity range can be also controlled from 40% to 90% relative humidity. ● Air conditioning unit blows from the wall. However, blowing from ceiling or floor is available as optional. ● In the instrumentation unit, you can choose either of the program and constant operation. Copyright ©2013 ESPEC MIC Corp. All rights reserved.